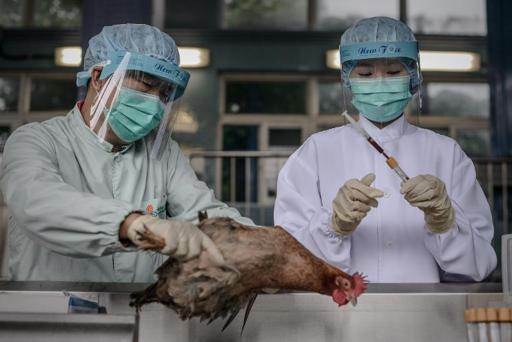 An elderly man has contracted a mild form of bird flu in the first case of its type for four years, Hong Kong officials said on Monday. “We are now investigating a confirmed human case of influenza A H9N2, affecting a man aged 86,” Leung Ting-hung, controller of the city’s Centre for Health Protection, told reporters. H9N2 is an avian flu subtype that mainly affects ducks and chickens but can also pass to humans, causing mild symptoms. Under Hong Kong law cases of such infection must be made public, according to Leung. Since 1999 Hong Kong has reported seven such cases with the last one reported in 2009, Leung said. The man, who lives in the southern Chinese city of Shenzhen bordering Hong Kong, was diagnosed with the disease after returning to Hong Kong on Saturday. He is now in stable condition in an isolation ward. “As the temperature is cooler in recent weeks, we expect there may be other cases of avian influenza being detected,” Leung said. On Thursday the city reported the first death from the more serious H7N9 strain of bird flu. The male victim had returned from Shenzhen, as had a woman who contracted Hong Kong’s first reported case of H7N9. She is still in hospital in stable condition. Scientists have warned that avian flu could potentially cause a pandemic if it mutates into a form easily transmissible between humans.